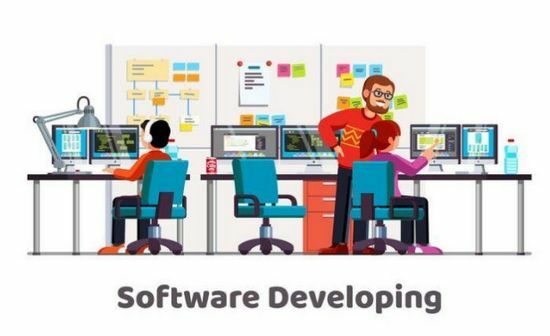 You desire to build the dream team of software developers and deliver a quality custom software solution​ on market? Tiger Team. A-Players’ Team. To achieve it is not so simple, especially if you are tied to one location in your search. Today, the gig economy creates thousands of remote jobs every year. In fact, companies that offer remote opportunities fill positions 33% times faster than those hiring on-site. Let’s review digital companies with a virtual team strategy at the forefront and see what advantages they are pursuing. 10Up creates stunning websites for some of the leading global brands (Microsoft, Adobe, BBC America, AARP, among others), so it is crucial for them to have access to the brightest engineering and design minds. Their whole team operates under a distributed model, which lets the company management focus on recruiting the cream of the crop while saving a lot on overhead. Balsamic is a company that develops a wireframing tool for sketching online. The product requires continuous support, features implementation, updates and bug fixing. Not only Balsamiq efficiently addresses the time zone mishaps, its leaders have also turned time difference into their advantage. They have proved that two identical teams on different continents demonstrate better productivity than one team working in the same location. For example, their QA engineers in Europe test the software while the US-based team is having sweet dreams. Articulate creates online training software and has openings for tech talent worldwide. They believe that virtual work, above all, means involving a special breed of employees – self-starters, those who thrive working independently and perform well without any supervision. Such people are more results-oriented and take ownership of their processes, which leads to increased productivity. GitLab is a web-based code repository system that lets create, review and deploy code. The company’s secret to success lies in following the principles of a results-only-work-environment (ROWE). It means the staff at GitLab primarily focuses on results, not working for the sake of working. Remote job allows employees to maintain a reasonable work-life balance. This type of work attracts the most productive people, something that is very important for the GitLab founders. ScrapingHub allows companies to collect and analyze data. Saving costs is an essential benefit of running staff off-site. The company believes that it’s more cost-effective to retain employees than to replace them. In fact, embracing distributed work leads to a high job satisfaction rate, resulting in the lowest employee turnover comparing to full-time office-based work. Scribendi is a real-time platform where anyone can order services of professional editors, at any time. It is crucial for their business model to be online 24/7, which can only be achieved if you have a distributed staff across different time zones. Scribendi’s experience shows a whole new approach to distributed work. What they have is not merely a distributed team – they are a global self-regulated pool of editors that can perform editing tasks at scale. Operating virtually definitely is their competitive advantage. To provide this type of service and earn the same profit while only relying on an in-office staff, you would require several offices across the globe. InVision empowers 1M designers to create better app and web design experiences. With a lot of creative work happening, the staff needs a workspace from where they can draw inspiration. Invision believes that creative people do their best job without any added supervision and that different people are inspired by different things. That’s why their distributed model allows every designer to work where they feel the happiest for maximum focus and productivity. Coalition Technologies is an SEO and web design company with team members of every walk of life. Their talented staff that spans across the globe is CT’s biggest asset. With access to people of different backgrounds and having different viewpoints, the company is able to quickly find new, business-critical solutions, which allows to outpace their competitors. Chances are zero to none that you will come across so many content creators, designers, developers, geniuses of digit marketing, and people that can transform virtual reality in one region. Therefore, the only way to assemble such team is to hire worldwide. It’s crucial for many businesses to attract and retain the world’s most talented professionals. In some instances, the virtual team size significantly exceeds the number of employees in Silicon Valley. To compete internationally, some companies need to ensure round-the-clock operation, regional presence, multilingual staff with a first-hand knowledge of foreign markets and cultures. Virtual teams are typically associated with the cost-effective factor, and it’s a proven way to reduce the cost of operation without making compromises with the quality of output. Virtual teams are the best way to orchestrate the price-quality concept and get the best possible results for your investment.